Answer: Hi Tracey. You can connect the Phone Clip to your landline phone system as long as it has Bluetooth capability. We recommend you take your Phone Clip into the store and ask the staff to help you connect it before purchasing a new landline phone. That way you can be sure it is compatible. How can I use the telephone with my Baha 3 Power sound processor? Question: Hi, I was fitted with a Baha BP110 Power sound processor in 2011 and have been told there is no outlook for a Baha 5 Power model anytime soon. I have had single-sided deafness since birth. I’m finding I’m not getting the quality I was hoping for with sound, but my employer is now placing me in the call centre at work. I find it difficult hearing people on the phone just with my left ear (about 80%) so have been trialling a Nokia neckloop but still not getting the best of the hearing to perform my work. Sorry to hear that you don’t find the sound quality satisfactory in your sound processor. One suggestion would be to use the Baha audio adapter to connect the sound processor directly to your phone; this will provide you with a direct connection to the phone and should provide good sound quality. 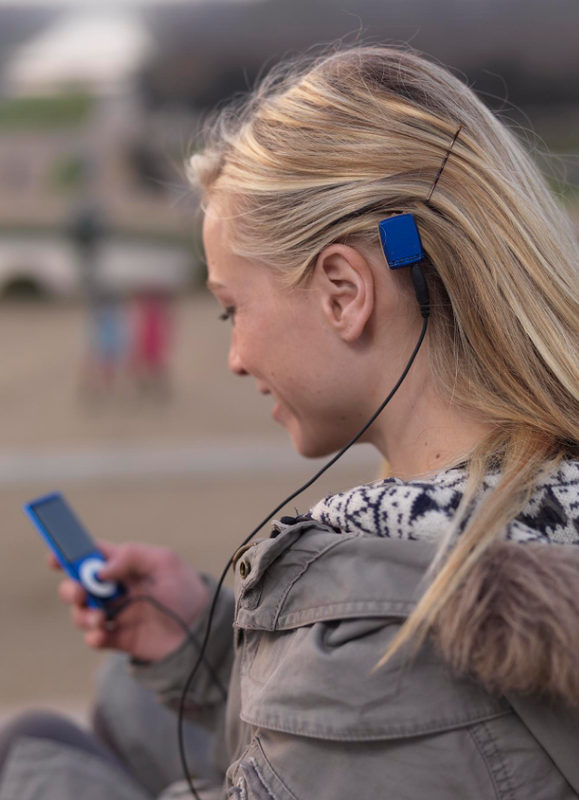 The input from the phone will then be mixed with the input from the sound processor microphones, meaning that you will still be able to hear and discuss with your colleagues. Your audiologist can also create a specific programme where the sound processor microphones are muted to allow you to focus entirely on the input from the phone. The solution requires that you can connect to the phone with a 3.5mm plug, just like to a stereo or smartphone. Regarding the future we can assure you that we are working hard to extend the wireless benefits of the Baha 5 Sound Processor to more powerful sound processors, however, we cannot give any indication of availability at this point in time. What telephone solution is best for my Baha sound processors? Question: Hi, I have two BP100 sound processors and recently started a new job where we use online phones at my work, i.e. a headset is plugged into my laptop for phone calls. The highest volume setting on the standard headset (& computer) is too soft & also difficult to position against my Baha (without feedback) – are there any suggestions on alternative types of headsets or telephone solutions? Secondly, the plastic membrane surrounding the coupling (that attaches to the abutment) on the processor has started to peel back, exposing the gaps in the processor – do I need to get this repaired? It is always difficult to answer questions on specific phone installations, however, I think that you may consider using the audio cable to connect your BP100 Sound Processors directly to the computer. This will allow you to bypass the headset entirely. The cable connects from the 3.5 audio jack on the computer to the Europlug in your BP100. 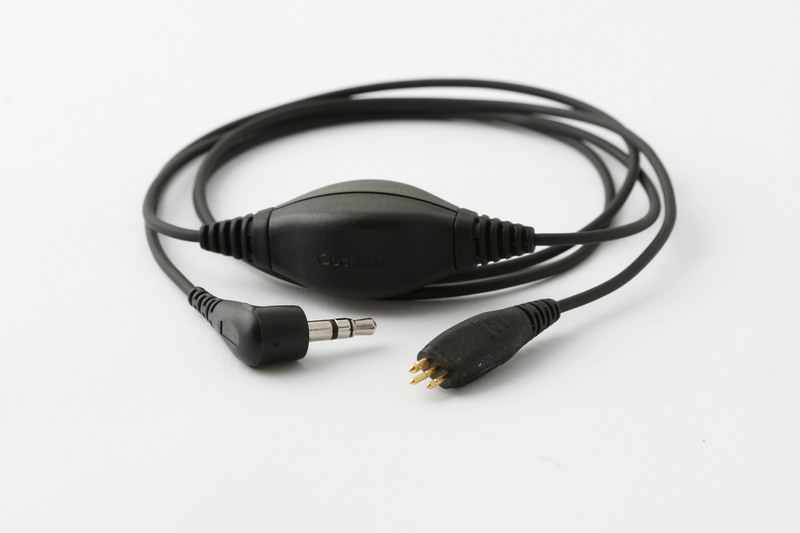 If you want to connect bilaterally you can use a 3.5 splitter in the computer and then connect one audio cable to each sound processor. The audio cable is available in two lengths (0.7 and 5 metres). Regarding the membrane that has started to peel off from your sound processor this should be sent for repair as it will increase the risk of feedback if there is a gap between the snap coupling and the base of the sound processor. Please contact Cochlear Customer Service in your country or your local health care professional for help. Here you can find more helpful hints and videos. Best of luck!